I tend to think gray and black wash me out (with my fair complexion). 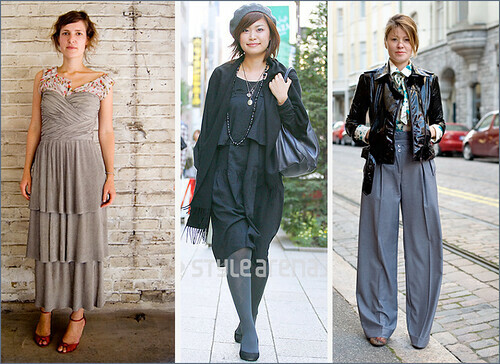 I think these girls from Berlin, Tokyo, and Helsinki look really nice in it though. I extracted my favorite grays from these photos for you in the palette above. Enjoy.